WILLEMSTAD, CURAÇAO, March 26, 2019 — Cable & Wireless Communications’ (“C&W”) parent company, Liberty Latin America Ltd. (LLA), today announced that it has entered into a definitive agreement with the Government of Curaçao to acquire 87.5% of United Telecommunication Services (UTS) which provides video, broadband, fixed-line telephony and mobile LTE services to both residential and business customers across the island nations of Curaçao, St. Maarten, St. Martin, Bonaire, St. Barths, St. Eustatius and Saba. The transaction is expected to be completed in the coming days. “This is a truly exciting development for the Dutch Caribbean. 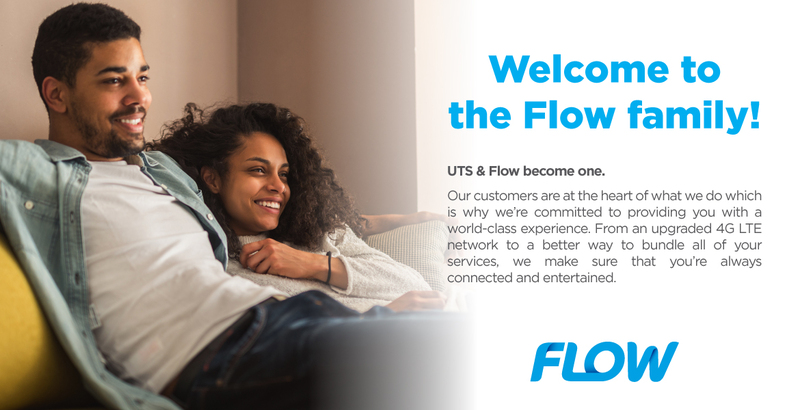 By combining C&W’s operations with UTS, we will create the largest full-service telecoms provider in the Dutch Caribbean. In doing so, we will bring to the region new and exciting products and services, improved customer service, and significant network investment and upgrades,” stated Inge Smidts, Chief Executive Officer of C&W. “Through this agreement with Liberty Latin America, the Government of Curaçao is able to provide a strong cornerstone that will assure the continued development of modern infrastructure that will provide our community with the best telecommunication services and products at affordable prices now and in the future. We are glad to have found in LLA a partner that recognizes the vast expertise and knowledge of our UTS employees, and is willing to invest in infrastructure that will provide our community with an opportunity to tap into the vast world of innovative solutions that will enrich our lives. | want to thank everybody that in one way or another has contributed to this most important achievement,” said Minister of Traffic, Transportation and Urban Development, Mrs. Zita Jesus- Leito. The combined operations will report to Nicolas Collette, Vice President of C&W, Southern Caribbean, which also includes Barbados and Trinidad & Tobago. “By leveraging the resources and scale of LLA, we will bring to the Dutch Caribbean community the best in connectivity and entertainment, with world-class technology like interactive Digital TV. For fixed and mobile networks, we know that speed, coverage and reliability are of the utmost importance to both our residential and business customers. Our primary objective is to bring faster speeds and strengthen our LTE coverage to improve the customer experience,” said Nicolas Collette. This press release contains forward-looking statements within the meaning of the Private Securities Litigation Reform Act of 1995, including statements regarding the benefits of the transaction, including scale and synergy benefits and opportunities; the expected impact on connectivity solutions, technology, and standards of service; and other information and statements that are not historical fact. These forward-looking statements involve certain risks and uncertainties that could cause actual results to differ materially from those expressed or implied by these statements. These risks and uncertainties include factors that are outside of our control, including our ability to achieve expected operational efficiencies, synergies and economies of scale, as well as other factors detailed from time to time in Liberty Latin America’s filings with the Securities and Exchange Commission, including its most recently filed Form 10-K. These forward-looking statements speak only as of the date of this release. Liberty Latin America expressly disclaims any obligation or undertaking to disseminate any updates or revisions to any forward-looking statement contained herein to reflect any change in Liberty Latin America’s expectations with regard thereto or any change in events, conditions or circumstances on which any such statement is based. C&W, part of the Liberty Latin America group of companies, is a full-service communications and entertainment provider and delivers market-leading video, broadband, telephony and mobile services to consumers in 18 countries. Through its business division, C&W provides data center hosting, domestic and international managed network services, and customized IT service solutions, utilizing cloud technology to serve business and government customers. C&W also operates a state-of-the-art submarine fiber network — the most extensive in the region. Liberty Latin America has three separate classes of common shares, which are traded on the NASDAQ Global Select Market under the symbols "LILA" (Class A) and "LILAK" (Class C), and on the OTC link under the symbol "LILAB" (Class B).